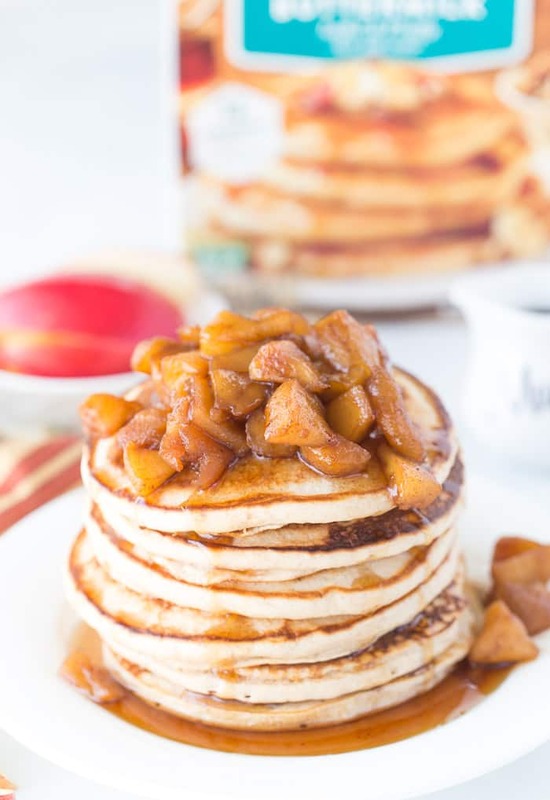 Thank you Krusteaz for sponsoring this Apple Pie Protein Pancakes recipe! Hi friends! 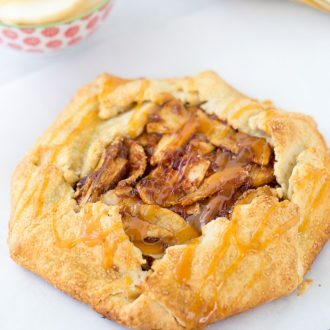 We are starting the week off with a hearty breakfast in the form of Apple Pie Protein Pancakes. With a whopping 13g of protein, these pancakes will keep you filled and excited for fall. 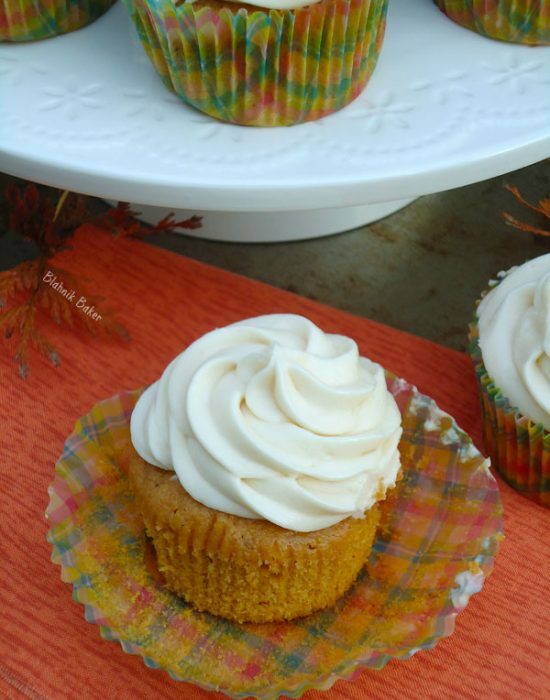 Now that we must accept it is fall, we might as well start indulging in fall flavors, right? 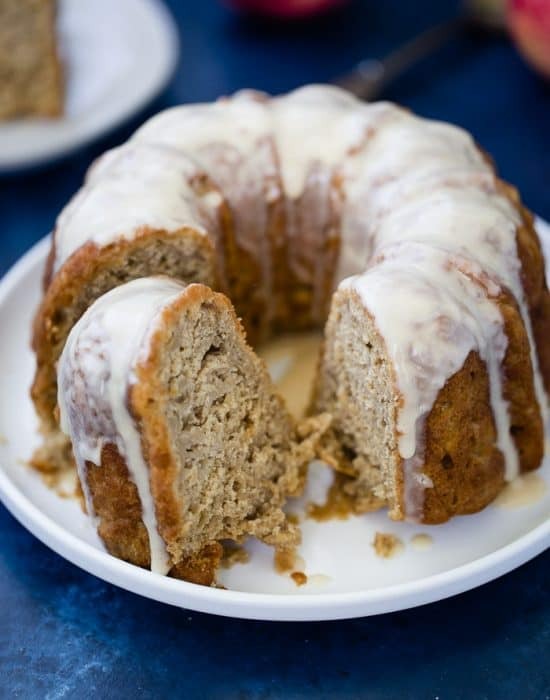 Nothing like starting the day with all your favorite fall flavors; warm spices, apple pie filling and maple syrup. These pancakes start with my newest Krusteaz must-have pancake mix. A buttermilk protein pancake mix with 13g of protein a serving is a great way to keep the family full and satisfied. If you haven’t tried it yet, you have to. The fluffy buttermilk pancakes are spiced with cinnamon, nutmeg and cloves. 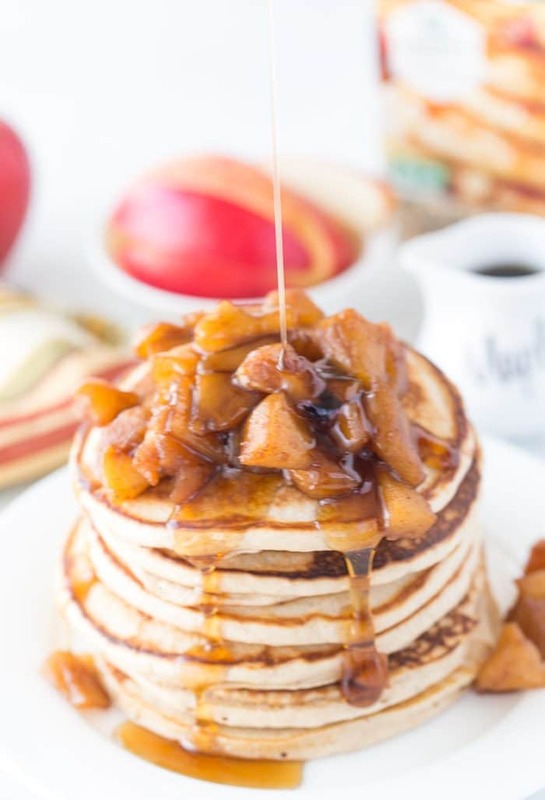 The pancakes are topped with an equally delicious apple pie filling; warm apples cooked in spices. 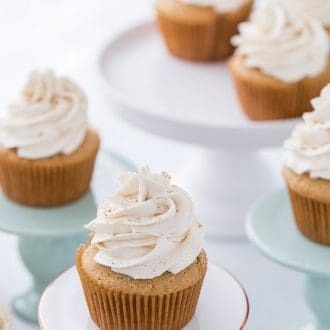 Finally, they are topped with sweet maple syrup. You can skip the syrup if you like, but it’s a great addition to the fluffy pancakes. 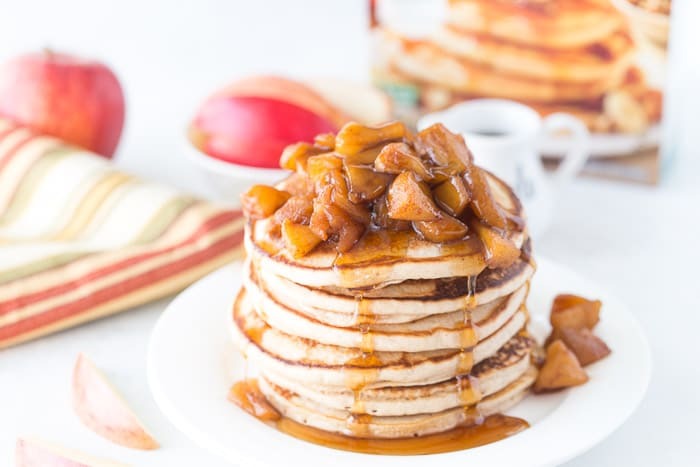 These apple pie protein pancakes will be perfect for any fall brunch. The pancakes also freeze very well. I made a few extras and froze for easy breakfasts during the work week. Check out this short video of how to whip up these easy apple pie protein pancakes recipe! Enjoy! 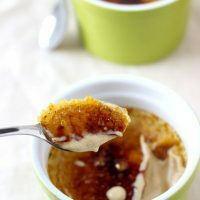 Get the full recipe here on Krusteaz.com where I am sharing it with their readers too! 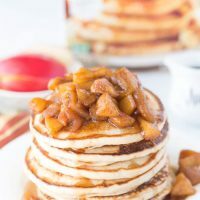 These apple pie protein pancakes are packed with seasonal flavors and are filled with hearty protein to keep you filled all morning. 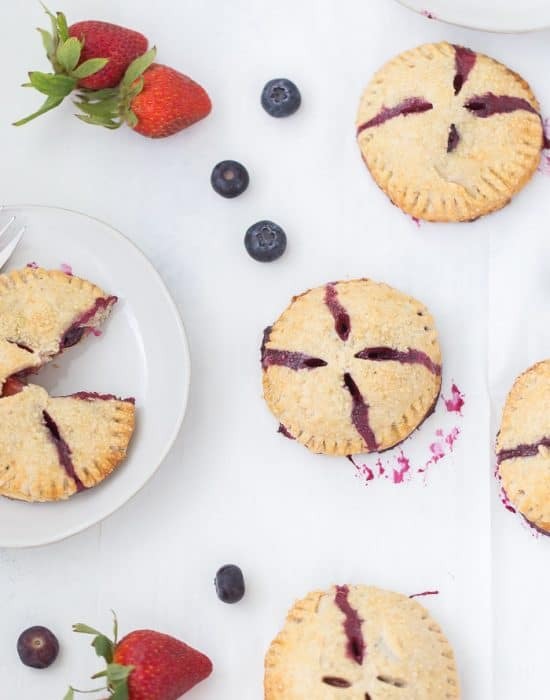 They are perfect for easy breakfasts to send the kids off to school. 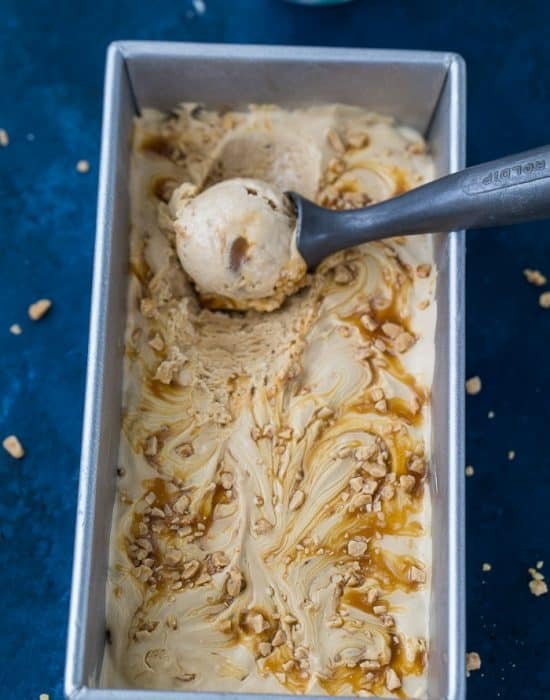 Top with maple syrup and enjoy! For full directions, visit Krusteaz.com. I’m drooling over these. And 13 grams of protein? It’s impossible to go wrong! Have a great weekend, Zainab! Right? 13g per serving is such a great idea. Hope you had a great weekend! I love trying to get more protein into my boys’ meals since they’re growing at an alarming rate! They would absolutely love these pancakes! Yes, they would love this!! I love everything about these! They’re perfect for Fall, and how wonderful that the pancake mix is buttermilk-based? Looks so good!! whoa love the sound of so much protein at breakfast! especially in the form of pancakes (: and i had to look up the difference between apple pie and pumpkin pie spices, since my wandering brain was curious. sounds like they’re fairly similar and like they’d both work really well here! yes, they both will work. Both spices are warm and comforting!